It appears that Syfy may once again be embracing science fiction with shows like Defiance and some of the development projects that currently have in the works (more on that in an upcoming post), and the network has received some early rewards from this shift with the debut of the aforementioned series. That one debuted on Monday night with a 1.0 rating in the 18-49 demographic and 2.7 million total viewers. That’s the highest debut for a scripted show on Syfy (or as it was previously known, the Sci Fi Channel) since Eureka in 2006. And this definitely represents a strong start for Defiance which will hopefully encourage the network’s return to more heavily science fiction oriented programming (as opposed to the “sci fi lite” trend they have taken of late with shows like Warehouse 13, Being Human, and Haven). And even though a 1.0 rating is not a particularly earth shattering ratings number for a cable show, it’s huge for Syfy and more than enough to keep Defiance afloat for now. If the show sinks down to the 0.5 range where most of the network’s other shows have been hovering of late, that might be a concern because of its high production costs. But then Defiance also has online game as part of its strategy which has logged more than six million hours of gameplay since it launched at the beginning of this month. That may be generating revenue as well to help offset the production costs of the TV show. 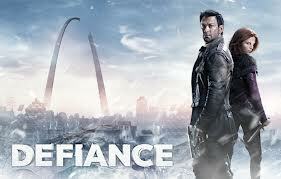 In any case, Defiance is definitely safe for now, and if it holds up its ratings numbers for the next couple of weeks I wouldn’t be surprised if Syfy awarded it with an early renewal. 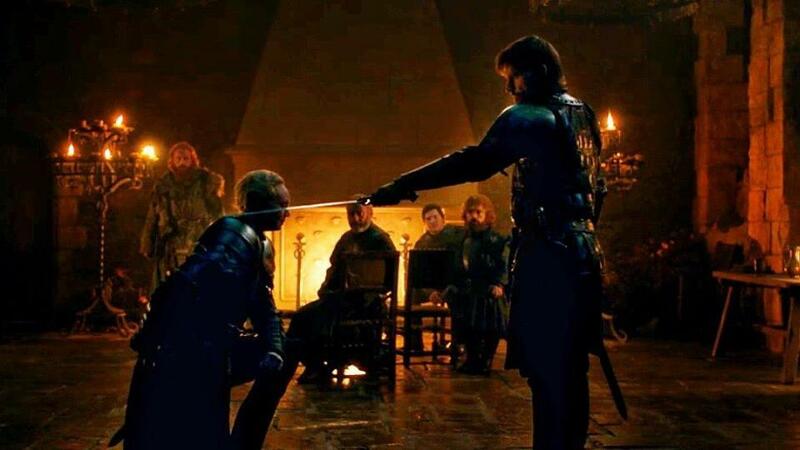 And cable shows continue to rule elsewhere as well as HBO’s Game of Thrones posted a 2.4 score in the 18-49 demo with 4.7 million total viewers this last Sunday. That rating topped the night among cable shows and bested all of the genre shows on television the prior week including the broadcast network offerings. And over on A&E, Bates Motel improved its numbers slightly on Monday as it pulled a 1.1 rating with 2.7 million total viewers. On the broadcast channels, FOX’s The Following sunk to a 2.1 rating in the 18-49 demo with 6.4 million total viewers on Monday night. It has continued to lose ground to NBC’s The Voice, but its network is not too concerned because they have already renewed the show for a second season. NBC’s Revolution was preempted for coverage of the bombings in Boston which will shift all of that show’s episodes by one week with the finale now scheduled to air on June 3rd. And on Sunday, Once Upon A Time aired a clips/recap episode which pulled a 1.3 rating with 5.2 million total viewers. Keep an eye on the Cancellation Watch Twitter Site for the early numbers for the rest of this week’s shows, and you can see the Cancellation Alert status of all the shows currently airing plus the final results from prior seasons at my Cancellation Watch page. And for questions on how the ratings work and my Cancellation Alert statuses, you can see the Cancellation Watch FAQ.